How Far is City Lands Murugan Nagar and JP Avenue? 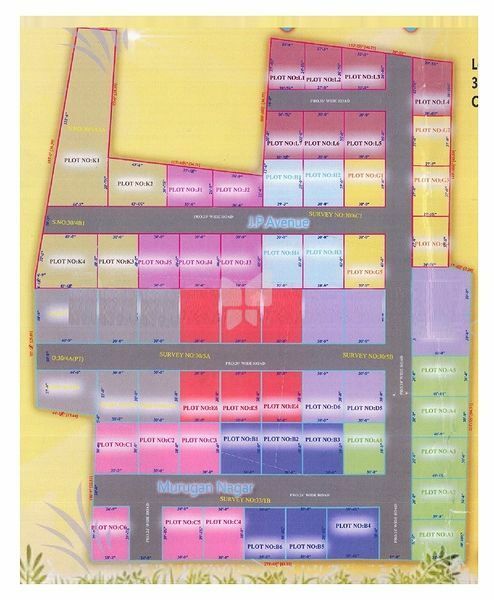 City Lands Murugan Nagar and JP Avenue, located in Chennai, is a residential development of City Lands Promoters. It offers skillfully designed residential plots. The project is well equipped with all the basic amenities to facilitate the needs of the residents. The site is in close proximity to various civic utilities. City Lands Promoters was originally established as a Partnership Firm, in the year 2007 by Mr. A. M. Rahman, as the Founder and Managing Partner and Mrs. Mumtaj Begam as the other Partner, having its head office situated at 20/14, Sapthagiri Colony, Behind Kasi Theatre,Ashok Nagar, Chennai. City Lands Promoters . facilities include an independent 2500 square foot corporate headquarters designed to enhance STAR Treatment. STAR Treatment which means City Lands Promoters exclusive guarantee that you will always receive Service, Trust, Accessibility and Results, from everyone from the organization in the field of Real Estate, buying and selling all types of Lands in the State of Tamilnadu. City Lands Promoters, has grown with more than 1500 Customers and has broadened its range of sales and property development and has expanded its services. City Lands Promoters . was founded with a prime object of providing services like, Development of Land, Preparing Lay out, Constructing of Independent houses, Flats and Duplex Houses and providing services as per the needs of Domestic, Commercial and Investment real estate owners, users and investors. At the time of inception, our services included investment analysis, real property validation and preparing layout and getting approval. We work with numerous big organizations enabling us to have the pick up best properties for our clients. Furthermore, we only deal in properties offering a premium location with good rental yields and capital growth prospects.